It's easy and fun to create your own aromatherapy blends. Here we provide you with some general guidelines, the basic ingredients you'll need as well as some simple essential oil recipes to get you started. Generally, two drops of essential oil should be used per tsp of carrier oil (but follow individual recipes if available) and it takes about one to two ounces of carrier oil for a full body massage. Any natural carrier oil except mineral oil is fine to use when preparing a massage blend. There are lots to choose from and each has its own properties. For most applications, we prefer our own massage base, which is a combination of Sweet Almond, Grapeseed and Jojoba carrier oils. Of course, feel free to browse our complete selection of carrier oils if you prefer to create your own carrier oil base. Below is a selection of some of our favorite blends and recipes, as well as a size conversion chart that we find useful when creating essential oil blends. For more aromatherapy recipes and ideas, check out our blog. Add 2 drops lavender and 2 drops rosemary oil to 4 teaspoons of our massage oil base (or any plain base/carrier oil). Use for a gentle body massage. Add 2 drops lavender oil to a teaspoon of our massage base (or any carrier oil) and massage gently into the temples and at the base of the skull. First, blend all the essential oils together, and then add to 4 teaspoons of our massage oil base (or any plain base/carrier oil). Stir gently to mix and apply to the body prior to exercise. Mix the essential oils together, then add to 4 teaspoons of our massage oil base (or any plain base/carrier oil). Stir gently to mix and apply to skin. Add the above essential oil to 6 tsp of massage base. Add to a warm bath or use for a relaxing massage blend. Add 2 drops lavender, 1 drop ylang ylang and 2 drops petitgrain to 5 teaspoons of our massage oil base (or any plain base/carrier oil). Stir gently to mix and massage into skin. For more ideas on how to use aromatherapy to relax, check out our blog post. Add 2 drops geranium, 2 drops howood and 2 drops bergamot to 6 teaspoons of our massage oil base (or any plain base/carrier oil). Wear as a fragrance, use for a gentle massage or inhale directly from the bottle. Add 1 drop howood, 2 drops bergamot and 2 drops ylang ylang to 6 teaspoons of our massage oil base (or any plain base/carrier oil). Wear as a fragrance, use as a massage blend or inhale directly from the bottle. Combine the above oils and massage gently into chest. The thyme will supply warmth, and the peppermint and eucalyptus will relieve congestion. Combine the above ingredients in a 16 oz. spray bottle. For more ideas on how to use aromatherapy for colds and flu, check out our blog post. 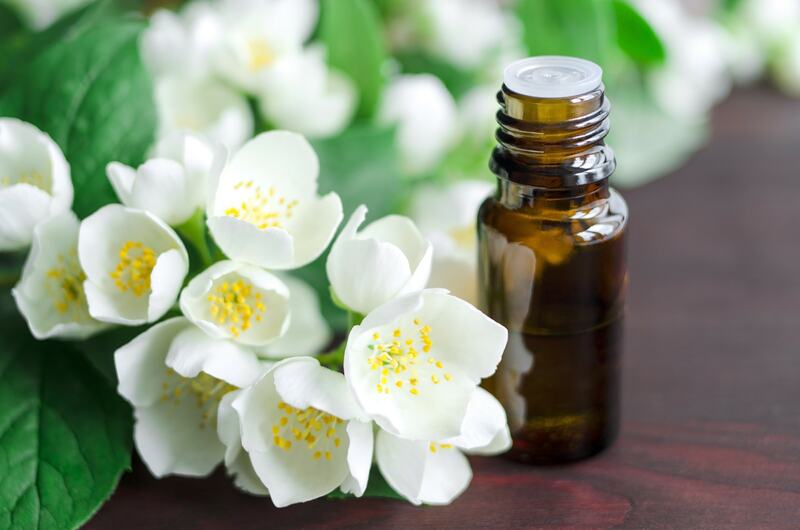 Remember, two drops of essential oil should be used per tsp of carrier oil and it takes about one to two ounces of carrier oil for a full body massage. Here's a useful chart for creating your own blends. Plus, check out our How to Blend Essential Oils Infographic.